The mailbox is full of catalogs these days. Harry and David, Sierra Trading Post, Pottery Barn—I may glance at them before tossing them into the recycling bin. But there are a few catalogs I can’t wait to get. As the cold weather sets in and the landscape is dreary and dead, seed catalogs arrive with their reminder that spring will come, eventually. They are the perfect cure for the winter blahs. Have I convinced you? If you aren’t already on their mailing list, now is the time to sign up on the companies’ websites. The catalogs will arrive in December and January. Order by the end of February for the best selection and fastest turn-around time. 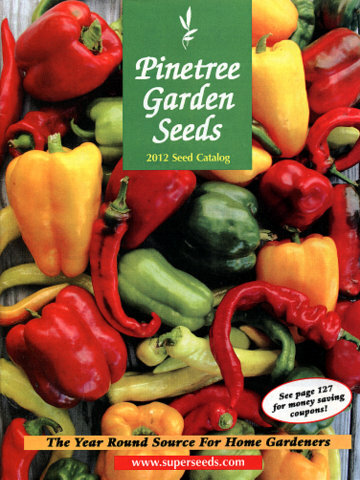 There are hundreds of seed catalogs out there. Which ones should you get? We all have our own biases. I tend to avoid tabloid-type advertising (especially when they give things a “special” name and won’t tell you what they really are). I want a good selection of seeds that grow here in Colorado. I want good service. I also want to save money. Here are my recommendations. This company usually gets the bulk of my yearly seed order. I appreciate their selection of short-season varieties (they’re located in Maine). 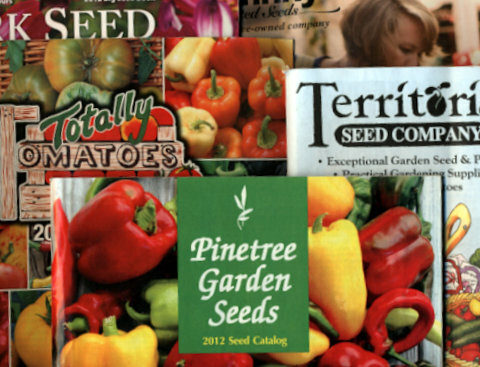 Their seed packets are smaller than everyone else’s too, and cost substantially less. Why buy 2,000 carrot seeds for $3.95 (as Burpee offers) when I can get 300 seeds for $1.25? That’s plenty of carrots! Their cheaper pricing allows me to trial a wider assortment of varieties, and get fresh seeds every year or two. The catalog isn’t flashy, like some companies, but again, I’d rather they spend less on the catalog and pass the savings to me. I’ve never been disappointed with their seeds or their service. Pinetree also carries flowers, herbs, and non-seed items such as books, soap making supplies, and other “back to the land” type items. How fun is that? I’ll post the rest of my favorite catalogs in a few weeks. Meanwhile, what is your favorite catalog? Why?